Trexin helped a company prepare for M&A-driven integration with a process-centric IT strategy/roadmap and business capability diagnostic. 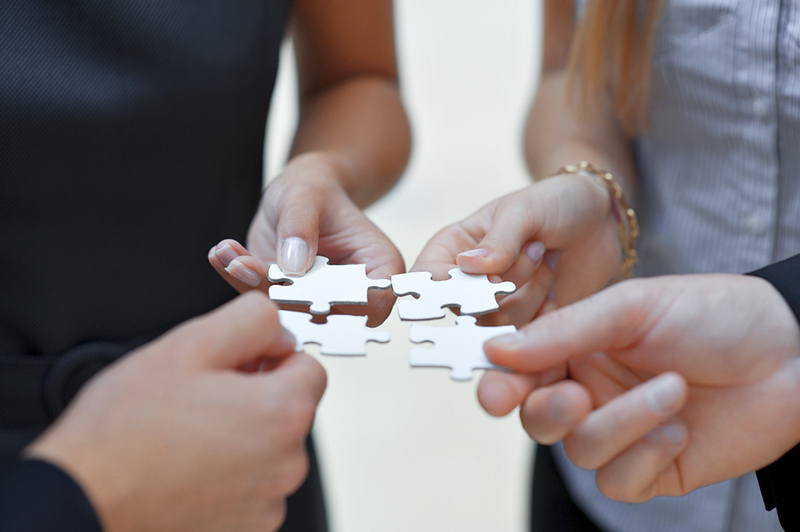 The VP of IT at a mid-sized consumer packaged goods company recognized a critical need to drive improved business-IT alignment, seeking to better prepare the company for future integrations in conjunction with the company’s focus on improving their best-in-class cost position and current operations through strategic acquisitions. Our Client asked Trexin to help assess and prepare a strategy and roadmap for a resilient set of acquisition-ready, technology-enabled business capabilities, qualified to be process-driven with an explicit focus on creating business and technology alignment. 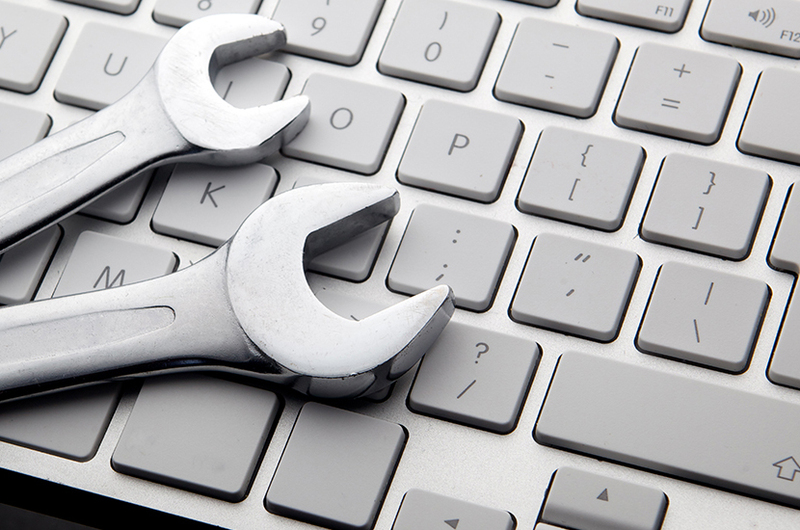 Trexin gathered information via workshops based on six process domains. After process ratings were established, the goal was to agree upon and build alignment around each domain’s current state and desired future state. The six process groups identified gaps and opportunities. Trexin determined that there was a key overall opportunity to be more process-oriented, and prioritizing the gaps made it clear that there was varied alignment between levels and departments. 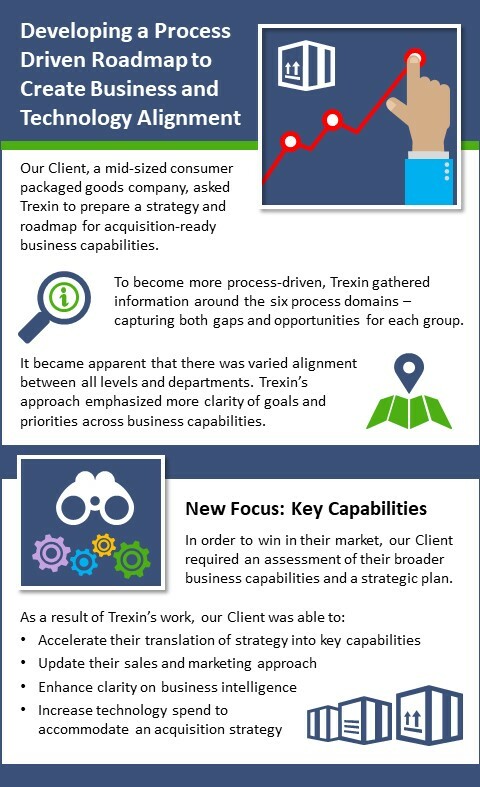 Trexin’s approach emphasized that the roadmap needed more clarity of goals and priorities across business capabilities. The executive team then asked Trexin to assess the broader business capabilities needed to win in their market while they undertook a strategic planning process. With a new focus on key capabilities, Trexin produced deliverables detailing and mapping capabilities to our Client’s strategic choices, leading to a multi-year IT investment roadmap. Trexin also produced position papers providing an initial direction for cloud strategy, application rationalization, ERP, and governance. Trexin’s ultimate alignment recommendation was to shift to an integrated, process-based investment approach. 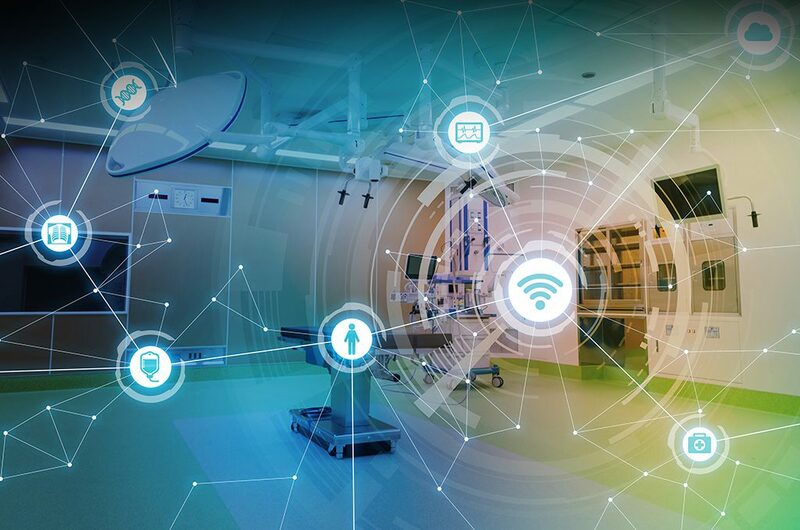 Trexin’s analysis showed that in the current state, functional thinking was prevalent across the organization, resulting in process inefficiencies, higher operational costs, and limited resources for long-term planning. Trexin therefore advocated a future state where the company is more extensively engaged in business process management to drive more positive results, made visible by newly developed metrics and scorecards. As a result of Trexin’s work, our Client accelerated their translation of strategy into key capabilities. Trexin’s guidance also provided an updated approach to sales and marketing, enhanced clarity on business intelligence, and level-set understanding that technology spend needed to increase to accommodate their business acquisition strategy.